Author Mindy McGinnis will be in Portsmouth on April 25-26th! Rotarians are invited to attend the author presentation at the Portsmouth Public Library on Thursday at 5pm. The presentation will be preceded by an author signing of books. After decades of distributing dictionaries to 6th grade students in Scioto County, Rotary of Portsmouth has changed its focus by spearheading a new community effort - Books Build Bridges. 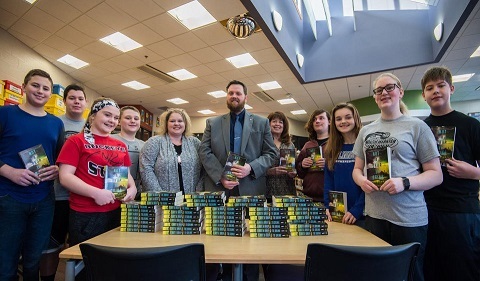 The project encourages reading by giving a copy of one book to all 8th grade students in the participating school districts throughout Scioto County. The book selected is Not a Drop to Drink by Mindy McGinnis. McGinnis' book was selected by the State Library of Ohio as a recommended book for young readers. A readers guide is available online. 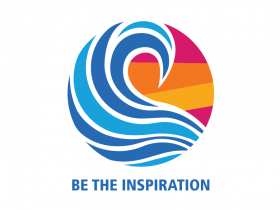 The book is the story of a world in which water is scarce enough that a young girl must fight to protect her only source of water from all who seek to take it from her.